We came across some awesome inspiration for DIY printing projects. Why not use fruit and vegetables in all shapes and forms to create cost efficient stamps at home. 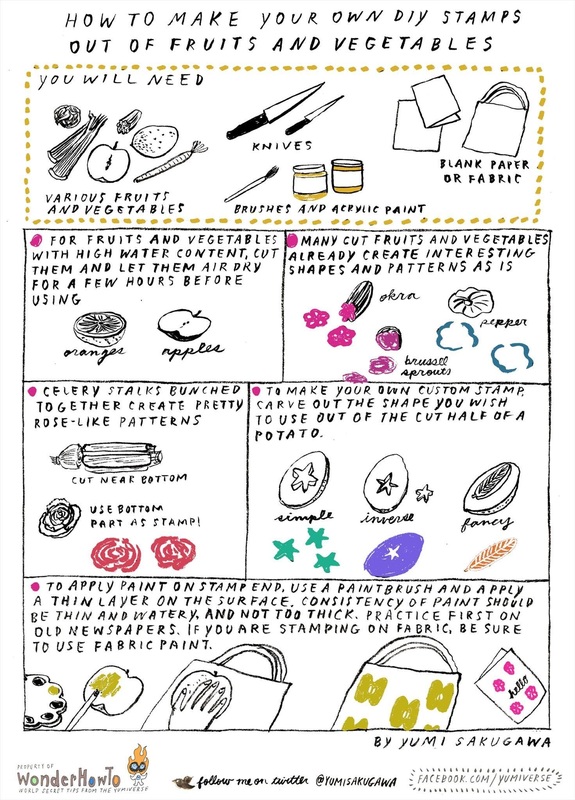 Cut up your produce into whatever shape you like and use acrylic paint to create artistic patterns and prints on whatever your heart desires – greeting cards, wrapping paper, blank canvas tote bags, fabric, T-shirts, and wallpaper.